The Nightwalker Sport Coat pattern proves that dog wear can be just as stylish as our own clothes and accessories! 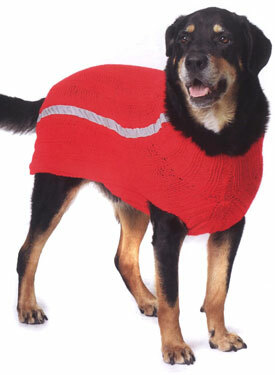 This handsome red sport coat is just the thing to knit for larger dogs. 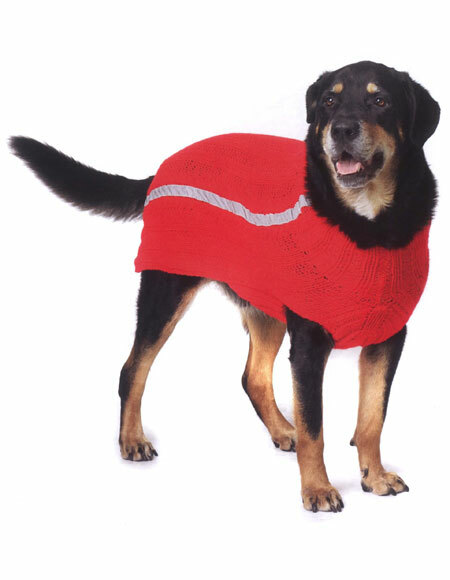 Reflective racing stripes down either side of the coat complete this stylish ensemble as well as protecting you and your dog during evening walks. 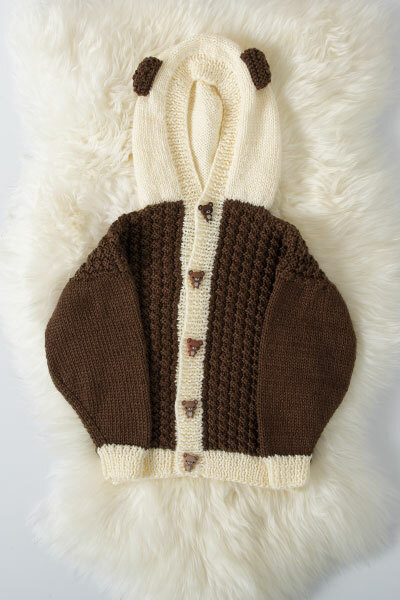 The pattern is written to fit dogs with chest measurements 22-38".